• A resident of the rural NSW community the project will benefit. Keep your eye on the RASF Website for 2018 grant applications to open. The RASF will consider ideas that deliver strong community benefits and result in enhanced economic and social outcomes. Projects that involve collaboration between people in your town and deliver sustained and broad community benefit will be highly regarded. 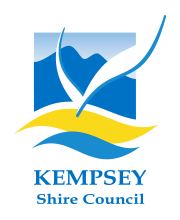 Applicants will be passionate about rural and regional NSW, well-connected with other local leaders and have a good understanding of the issues affecting their community. Infrastructure for local showgrounds and Show Societies are eligible. The improvements must demonstrate that they go beyond benefiting just the local Show Society in running the local Show, but rather something that enables broader use by other community groups to run on-going projects or programs. A Community Partner can be any local agency or group that delivers a service, provides a benefit or whose purpose is charitable in nature. For example, educational organisations, your local Show Society or service clubs – Rotary, Lions club or Apex. Applications will be judged on merit by a selection panel, including representatives from the RASF Board. The application/s judged to be the most considered, achievable and provide the greatest community benefit will be awarded up to $25,000. The selected projects must be implemented through the local community agency or group nominated by the entrant as their Community Partner. The successful applicant/s are announced at the Sydney Royal Easter Show. To view some of the previous RASF Community Futures Grant projects click here. If you have any enquiries about the eligibility of your project idea or about the RASF Community Futures Grant initiative, please contact the RAS Foundation program manager by phone on (02) 9704 1232 or by email.